The Pink Line of Lajpat Nagar-Mayur Vihar-I section will be covering five metro stations. Delhi: Once the Delhi Metro Pink Line of Mayur Vihar Station will open, travelling between East to South Delhi will be easy. The interchange facility will help daily commuters in a big way. The Pink Line of Lajpat Nagar-Mayur Vihar-I section will be covering five metro stations. These would be Mayur Vihar Pocket-I, Mayur Vihar-I, Hazrat Nizamuddin, Ashram and Vinoba Puri. Once this stretch opens, travelling from East to South Delhi will be 15 minutes affair. The 9.7km long line will give direct connectivity to metro riders for those looking to reach South Delhi areas. These include Moti Bagh, Sarojini Nagar, South Extension, Ashram and Lajpat Nagar. Trail run for the stretch has already begun and will be covering five Delhi Metro stations. Post trail run, once the station is operational, it will become interchange station. This line will be connecting Blue Line with Pink Line. Mayur Vihar – I station will be big hub in East Delhi. It will aid in linking South Delhi with East Delhi areas like – Laxmi Nagar, Anand Vihar, Preet Vihar and additionally to Vaishali in Ghaziabad via the Blue Line. Delhi Metro commuters will not have to take long route via of taking Rajiv Chowk or Mandi House metro stations. They can board a train train to Noida City Centre from the Blue Line station. The section will also facilitate travel to residents of East Delhi in reaching Hazrat Nizamuddin railway station and Sarai Kale Khan ISBT. This stretch currently does not have any metro connectivity. Currently, 30,000 people use Mayur Vihar-I station. 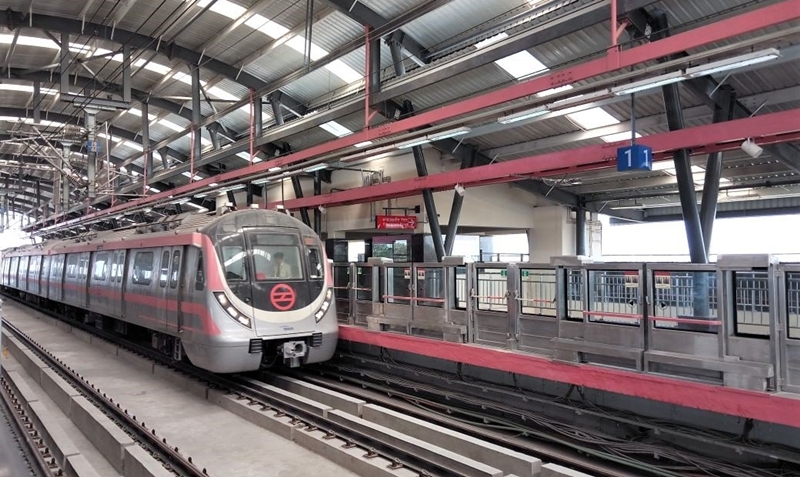 Once it offers interchange facility, the ridership is expected to touch one lakh as per DMRC.